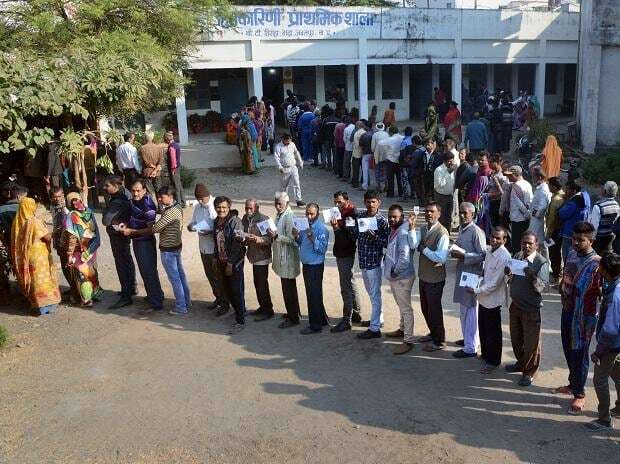 Over 1.5 crore electors in 18-19 year age group will be eligible to vote for the first time in the seven-phased Lok Sabha election beginning April 11 wiith Prime Minister Narendra Modi calling upon them to vote in record numbers. These voters in the age group of 18-19 years constitute 1.66 per cent of the of the total electorate. All citizens who turned 18 on January 1 this year and registered as electors will get opportunity to cast their vote in upcoming Lok Sabha and assembly elections. "The total electorate in the country as per finally published e-rolls in January 2019 is approximately 900 million compared to 814.5 million in 2014. This marks an increase of more than 84 million electors. Over 15 million electors are in 18-19 years age group. Electors in the age group of 18 to 19 years constitute 1.66 per cent of total electors," the Election Commission said on Sunday. The Election Commission has allowed enrollment of transgender persons with gender written as "Others" in the electoral rolls since 2012. The number of electors enrolled as "others" gender is 38,325. The poll panel said that parliament has amended the Representation of the People Act, 1950, allowing enrollment of Indian citizens living overseas as electors. The number of overseas electors enrolled in the current electoral rolls is 71,735. "There are 1,677,386 service electors in the electoral rolls," it said. The Lok Sabha elections will be held in 1,035,918 polling stations across the country compared to 928,000 set up during the last Lok Sabha election in 2014. Modi, in a tweet after the declaration of poll schedule, hoped for a record turnout. "The festival of democracy, Elections are here. I urge my fellow Indians to enrich the 2019 Lok Sabha elections with their active participation. I hope this election witnesses a historic turnout. I particularly call upon first time voters to vote in record numbers," he said.